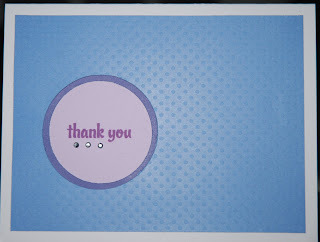 CardMonkey's Paper Jungle: Updated - Now it's DAY 3 on the New Year's THANK YOU CARD Blog Hop! 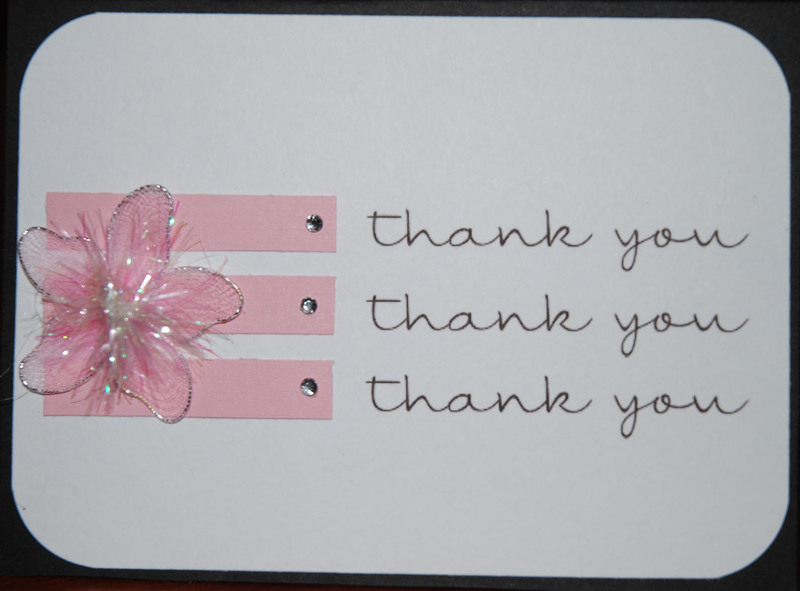 Updated - Now it's DAY 3 on the New Year's THANK YOU CARD Blog Hop! Good evening, Blog Hoppers! Well, 1/1/11 is done, and so am I. I've been up all day ... went to bed at 3 a.m. after the New Year's Eve celebration with hubby, up at 6:30 a.m. with the dogs. Egads. I want to say that I did succeed in keeping my first New Year's Resolution -- and that is to spend the entire day in my pajamas, something I haven't done (when healthy!) in probably 25 years! This is a card cut with Cricut's "Walk in My Garden" cartridge. This is a relatively large card -- 6" wide by 5" high, folded. 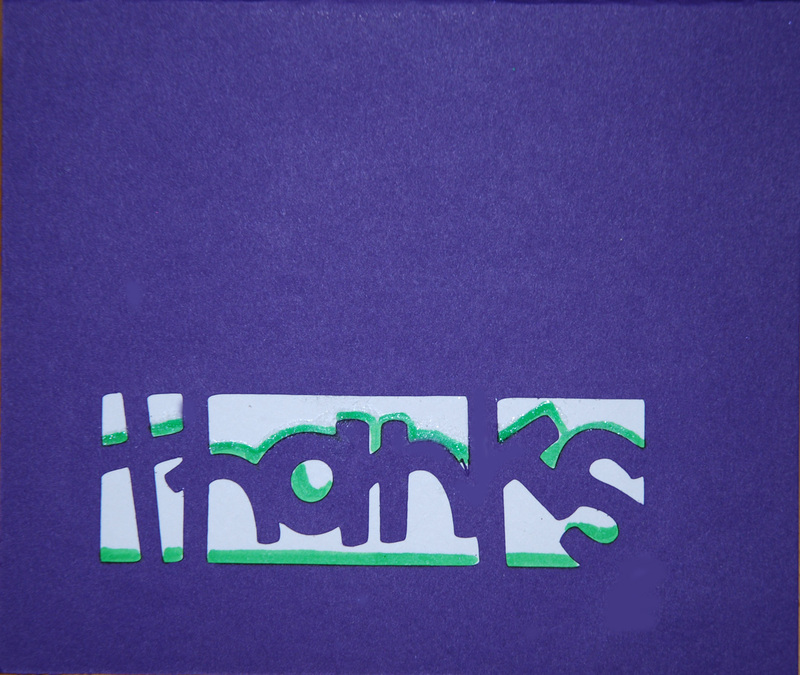 The outside was cut with the sentiment reversed out of the violet background. The inside pops up. The way I made this was to do an "M fold" in the middle of the card, so it forms a gutter where you can stand your flowers or whatever (birthday cake, Christmas tree?). In this case, I put a row of hyacinth, accented with Martha Stewart glitter inside. The inside sentiment (...a bunch) was set off by a row of glitter at the bottom. (Sometimes, I am just in a glitter mood!) To make this row of glitter nice and straight, I simply put a line of thin double-stick adhesive and pressed fine glitter onto the one side. I learned that if you really want the glitter to stick firmly, put a piece of waxed paper over the glittered tape and run it through your Cuttlebug or other embossing machine. Now for the Card #6 Blog Candy! To qualify, add a comment (even if you've already posted during the hop before) to say what you like about Card #6 and that you're interested in winning the accompanying Candy. Become a new follower or tell me you're already a follower and you'll get an extra chance at the Grand Prize, the grand poobah of hop-a-paloozah prizes, a custom made Cricut Cozy Cover in your choice of colors and embroidered message. 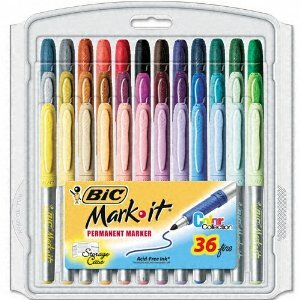 The Blog Candy for Card #6 is a full set of 36 permanent fine-line markers by Bic, in all the colors of the rainbow and more! Ooooh-ahhhhh! Brand new, never used, in package as shown here. I hope you all have had fun hopping this weekend, and that you'll stop by from time to time again to see what new stuff I'm cooking up in the Craft Loft. Today, I filmed a Tutorial on making brads with the I-Top that I may be posting soon, and maybe, just maybe I'll break out the Cricut Cake some day in January! oooooh, ahhhh! Do you know you can cut more than fondant with it? You can cut cheese and ham in designs for crudites; pasta or burritos for other nifty munchies; even ceramic slip for tiles or to accent pottery! ALSO, please note: Blog winners will be picked on Monday, January 3 in the evening. Please comment by 6 p.m. 1/3/11 to be eligible for prizes. Winners will be notified here, and if you've left a method for me to e-mail you, I'll send an e-mail too. Winners have 10 days to send their "snail mail address" or I'll have to pick a new winner. 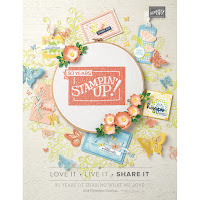 Remember, now 6 different blog candies will be awarded plus one Grand Prize winner will be randomly selected for the Cricut Cozy. Good luck! Click on any of these pictures to enlarge the image. 1. You may comment on each card, to get a chance to win that card's candy. 2. With each comment (up to 6 allowed so far), you get one entry into the Grand Prize. 3. You get an extra chance to win the Grand Prize (Custom Made Cricut Cozy ... see my post at the beginning of the hop, "older posts", for a picture of a Cozy I made this weekend) by either becoming a new follower, or stating that you are already a follower. Again, a sweet and simple card ... one my husband may like because it's not too frilly! 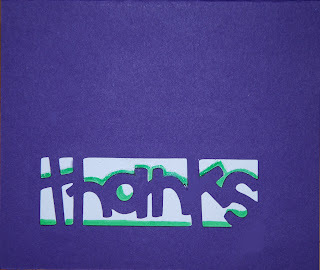 To make this card, I stamped the sentiment on a pre-made white A2 card. 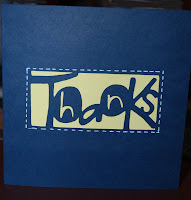 I punched a hole in a royal blue piece of cardstock to layer over the sentiment. It still looked a little plain to me, so I cut a slightly larger hole in a medium blue cardstock; I ran the medium blue cardstock through my Cuttlebug Swiss Dot folder. A few small rhinestones to underline the sentiment finished it off. 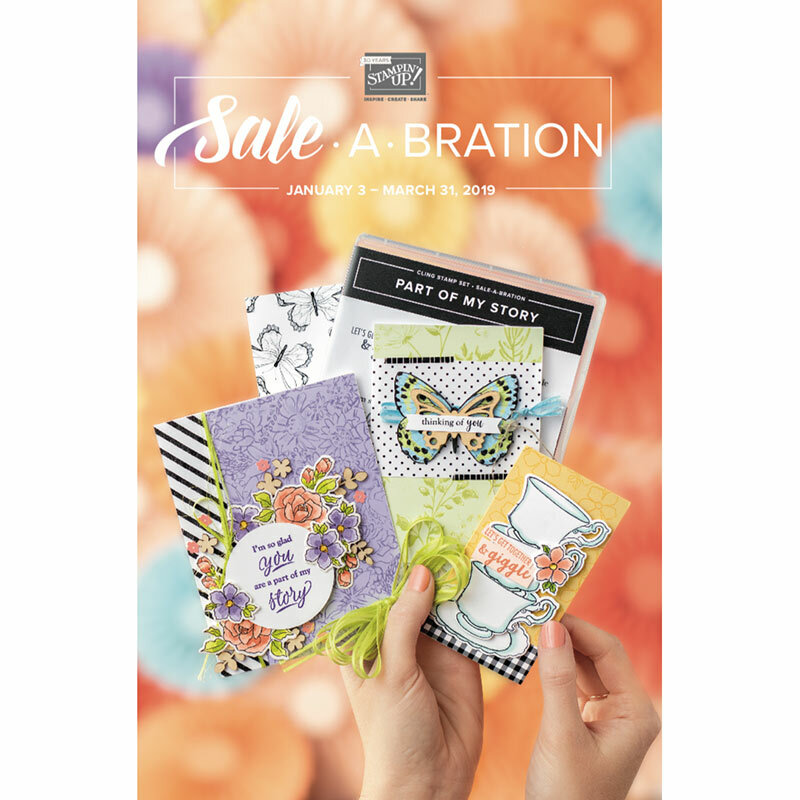 Cuttlebug Folders! I have a darling set of four (2x2") folders in a box, and I'll throw in one standard A2 folder as well. Remember to read the instructions to get additional chances to win the other candy posted for this weekend hop-a-palooza! Pop the champagne corks, 2011 is going to be a great year! I like card #5 One I could make quite a few of to include in my card sets for Christmas 2011 gifts. Follower is, that follow does. Love the simplicity. Great. Love your cards! I'd like to a 'follower' soon as I figure out how to! 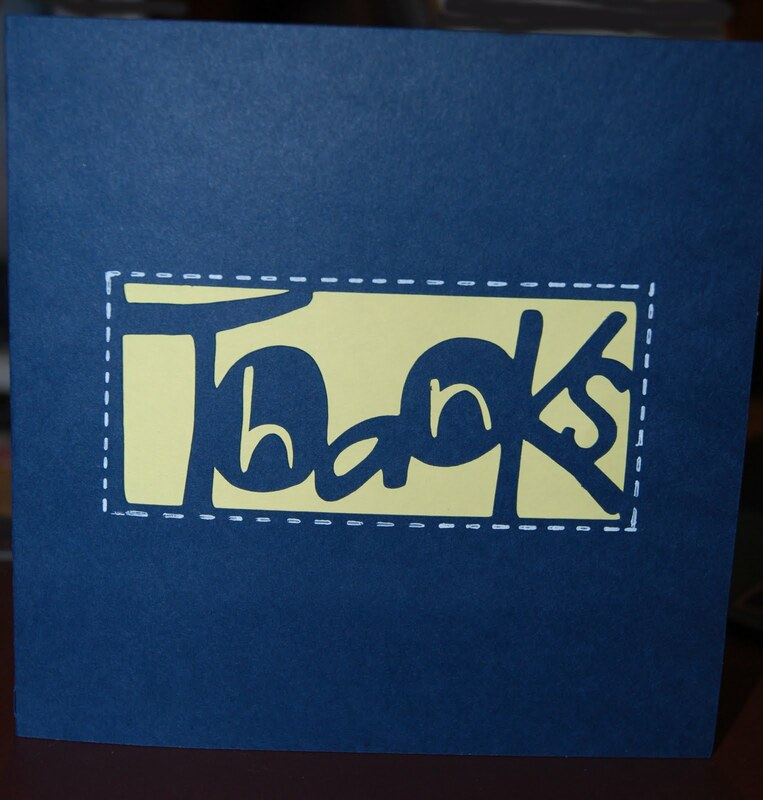 Very nice card - I love the simplicity of it. I am just loving all this wonderful inspiration you are sending us!!! Card #5 simple but elegant, would love the embossing folders!! 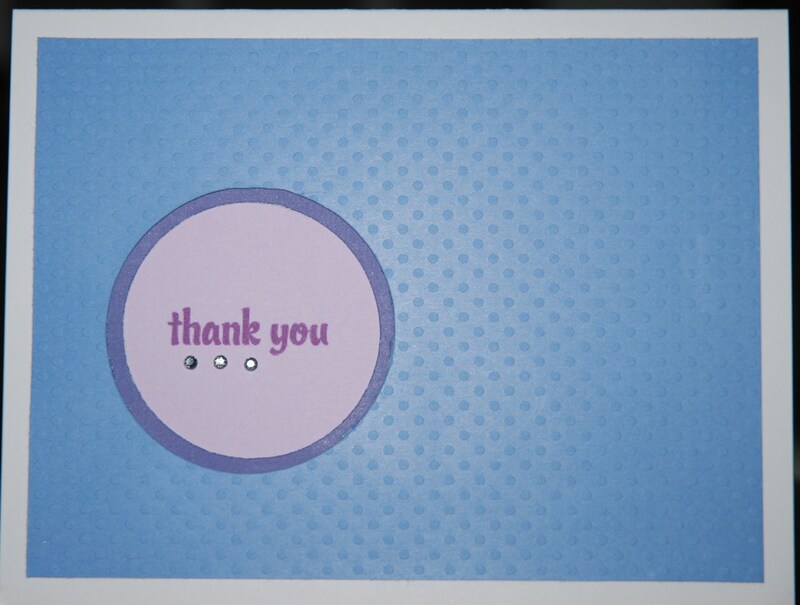 Love the card~ nice and simple! I am a new follower as well! Very cute card!! Simple but beautiful! You can reach me on youtube under this same name :)I am now a follower. Happy new year! Great CAS card! Great card! Love the layers.... And you're right, I think your husband would like it! Thanks for being part of the hop! Simple cards can be used the most! Thanks for sharing some inspiration and the chance to win some creative prizes! 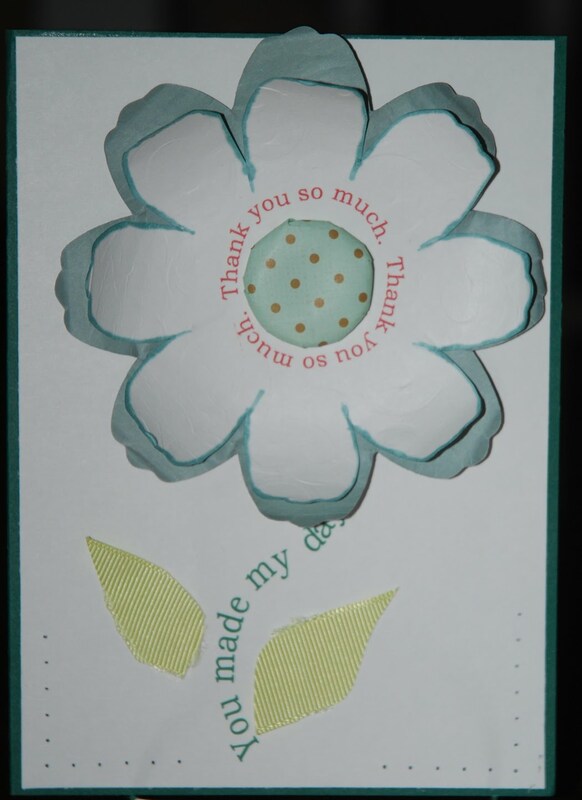 I like how you did a large flower with inked edges and especially where you put your words on the first card. The second ones repeation is great. The fifth card is very nice and clean which is how guys like their cards. I have such a hard time making guys cards. They all came out nice. I am a new follower and look forward to seeing what you come up with in the future. Happy New Year! Thanks for the ideas! Love the simplicity! It looks very pretty. Your card is simple and elegant - who could ask for more?! Very nice! I absolutely love card #6!!! :) What I love the most about it is learning new techniques (the m-fold inside to make things pop up and the adhesive strip for the glitter-especially new to me: using wax paper & running it through the Cuttlebug!)! I would so love to win the Cuttlebug cozy!!!!!!!!!!!!!!!!! If I'm not lucky enough to win, I'm hoping you might share your pattern with me? Love this one too! I used walk in my garden a lot when I got it (it was my first cartridge) but haven't used it since. Maybe it's time to revisit it! The all card is really great, but I do love the the green shadow effect on the letters :) So cute! Many times, simple is MORE!! All the cards are great. I really like the simplicity of card #5! Love this card, because you open it up and get a nice little surprise! great card love the colors and the design! sweet and simple can't beat that. would love to have #4 candy:I do not have this cartridge so this would be a great win and of course my first choice, all the prizes are great and I would be happy to win any of them!! Card #5 would love to win the candy too. 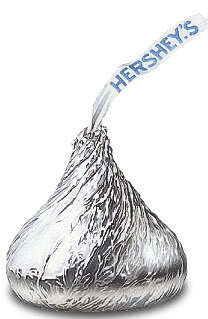 I love the colors that you used on Card #6 and I'm very interested in winning the accompanying Candy! 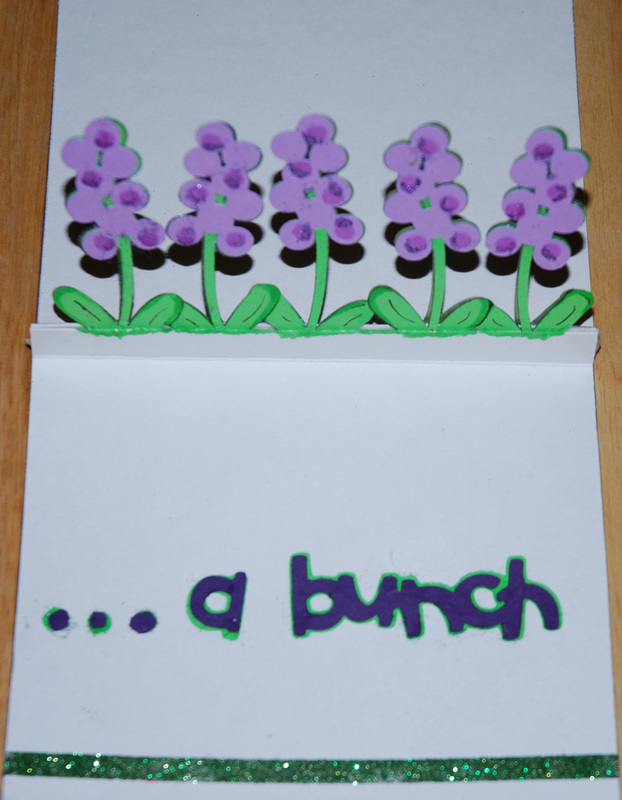 I also really like how you made the card so that the flowers would stand up. Very cute. Thanks for sharing all your beautiful cards and taking your time to show us! 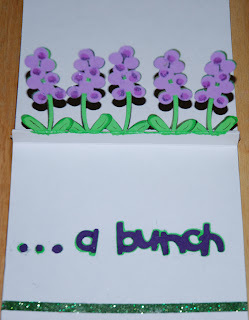 Card #6 - I love the simplicity of the outside this card and the flower surprise inside. Card #5 - So simple yet beautiful.